Air Conditioning Specials | Progressive Air Systems, Inc.
*Not all systems qualify. See dealer for details. May be subject to credit approval. Cannot be Combined with Other offers. No Cash Value. $831 Value for Only $700! Progressive Air Systems, Inc. is happy to provide our customers with special offers and promotions throughout the year. Take advantage of our Carrier Cool Cash Instant Rebates, Special Financing, and a discount on your next AC repair. We're offering the opportunity for our customers to print one of our exclusive coupons to use. As always, it's best to see your dealer for details on any of our specials or promotions. Our staff at Progressive Air Systems will work to find what offers will work best for you. 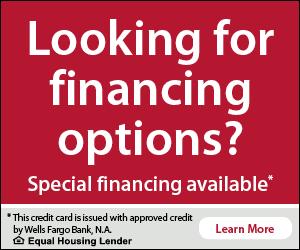 If you're looking for financing options, we have special financing available. Click the button above to learn more. We offer no interest if paid in full within 18 months. If you have any questions or would like to request an appointment, please give us a call at 727-847-3898.